When you’re craving Italian food your first thought may not be on-the-go. 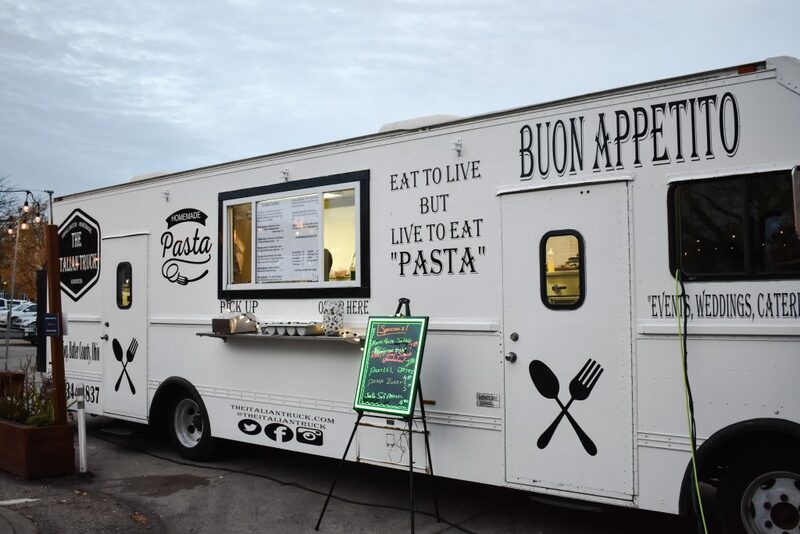 However, after sampling some authentic sauces and homemade pasta from The Italian Truck, you’ll never need to dine in again. Hamilton-native Richard Fowler wasn’t ready to retire. 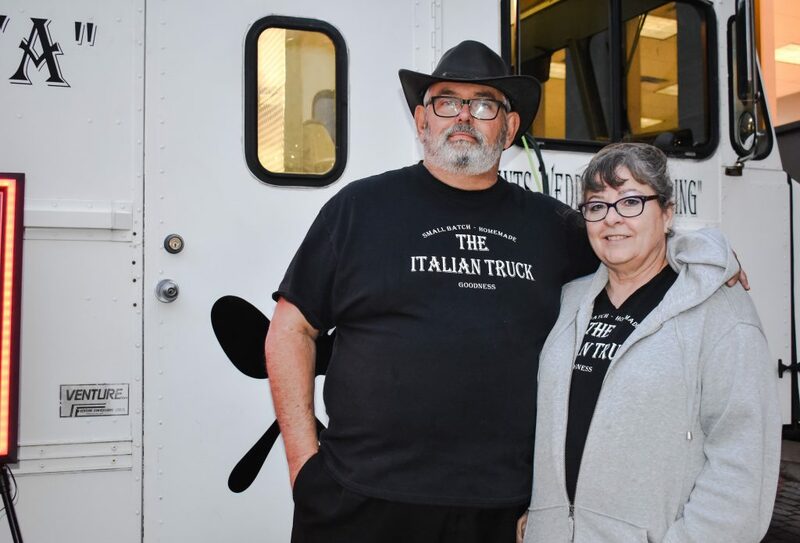 He and his wife Debbie have been cooking all their lives and decided to start their own food truck serving authentic Italian-American comfort foods. With Debbie’s Italian family recipe for marinara sauce and Richard’s commitment to authenticity, the truck has grown wildly popular since its launch two months ago. 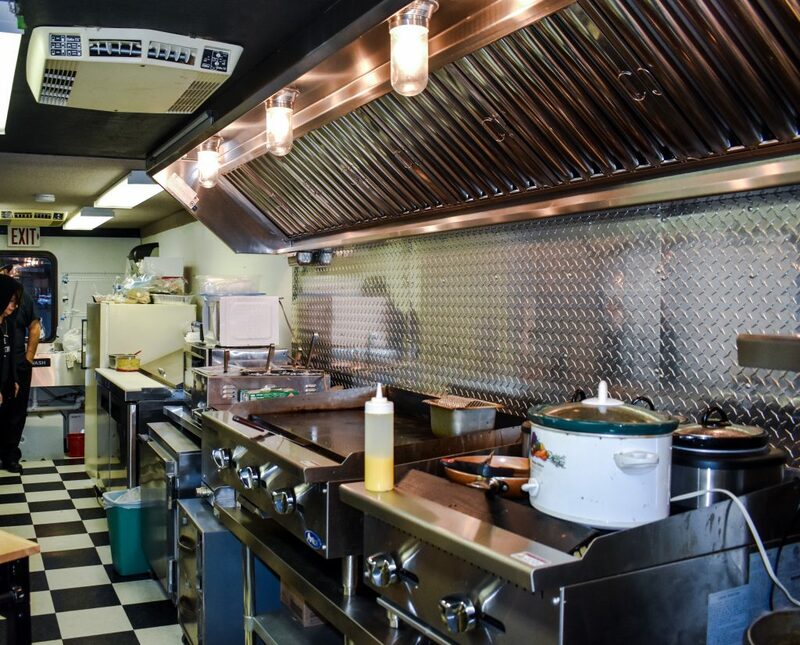 They went with a whopping 34-foot long truck, which had originally been used as a portable schoolroom, filled it with full-sized grills, slapped on some black-and-white decals, and rolled out their new profession. Something that stands out in their dishes is the superb texture and taste of the handmade pasta that Richard makes from scratch at home. 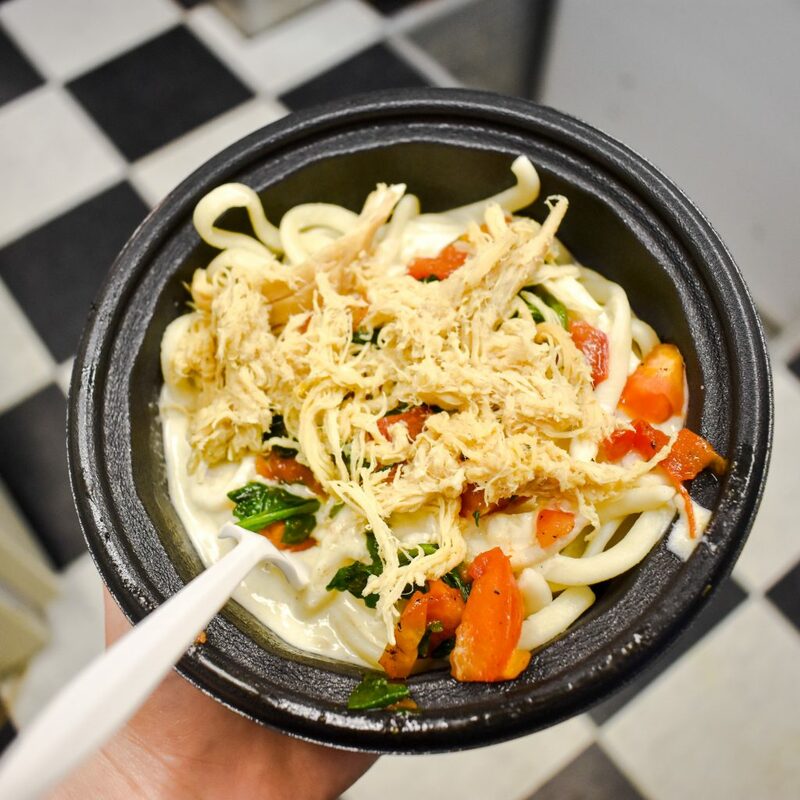 Besides pastas, The Italian Truck has expanded to serve sandwiches, pretzels, flatbread pizza, and a new pizza quesadilla and pizza burrito. 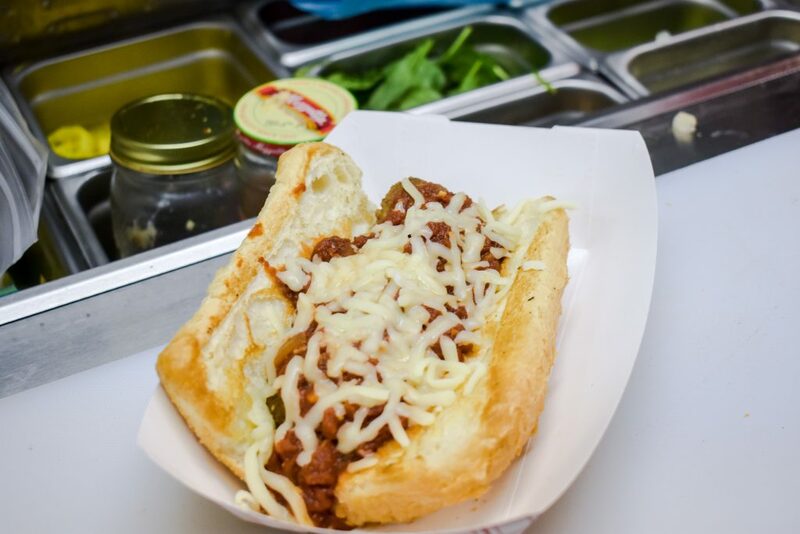 One sandwich, the Italian Philly Beef Sub, was inspired by the beloved shredded beef sandwich from Homestead, a community favorite restaurant that closed down in Hamilton. 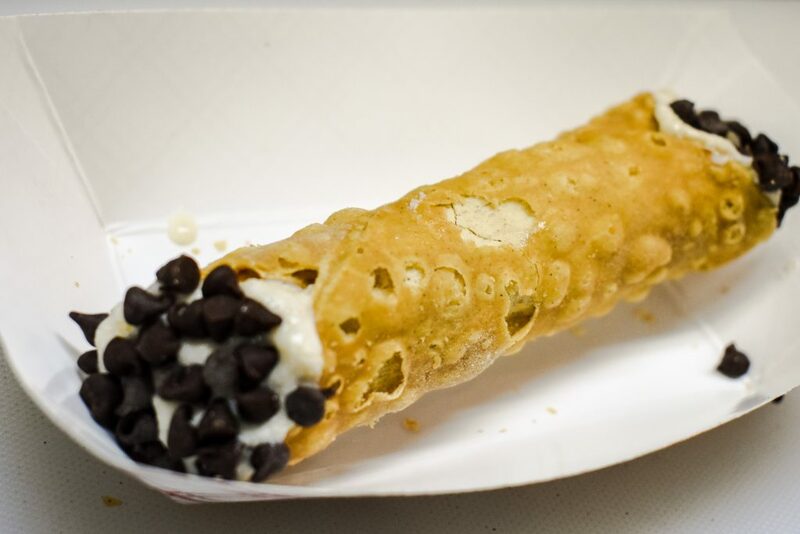 For dessert, you can indulge yourself in an authentic cannoli, filled with ricotta cheese, powdered sugar, and cinnamon, and dipped in chocolate chips. 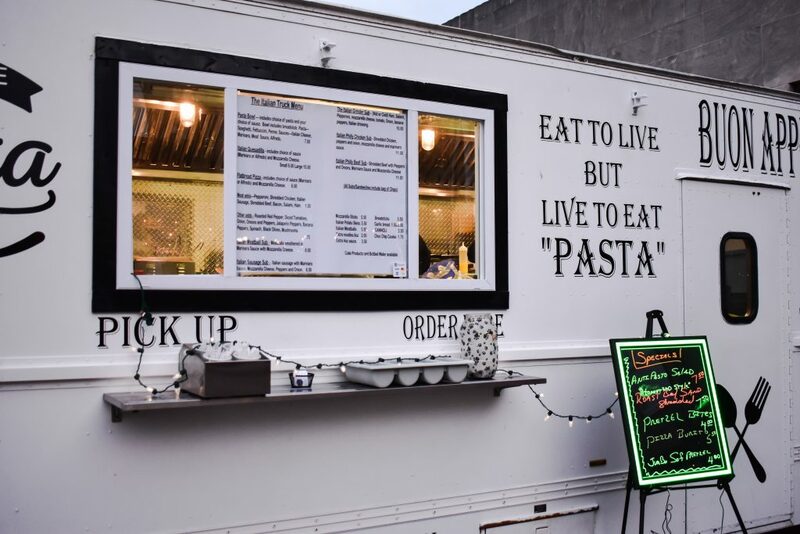 What started as what Richard calls his “retirement project,” The Italian Truck has become a hotspot at breweries, sporting events, and around the streets of Hamilton. 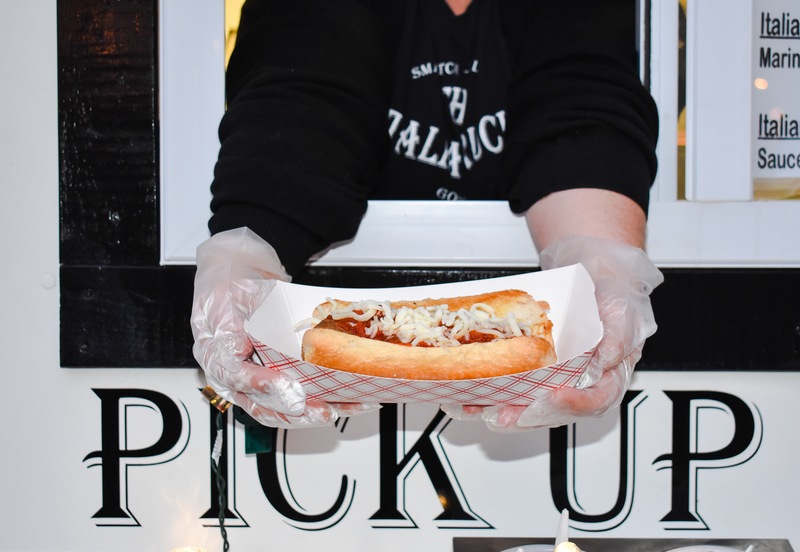 Find its daily location on Street Food Finder or Roaming Hunger and you’ll see what makes this big truck an even bigger deal.